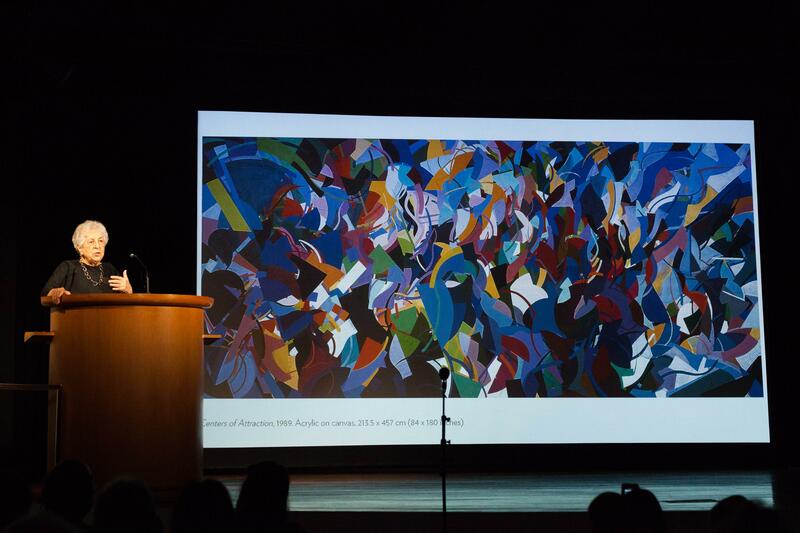 Even those of us who came to the Solomon R. Guggenheim Museum’s celebration of legendary Palestinian abstractionist Samia Halaby on Tuesday for the politics may have found ourselves blown away by the art. 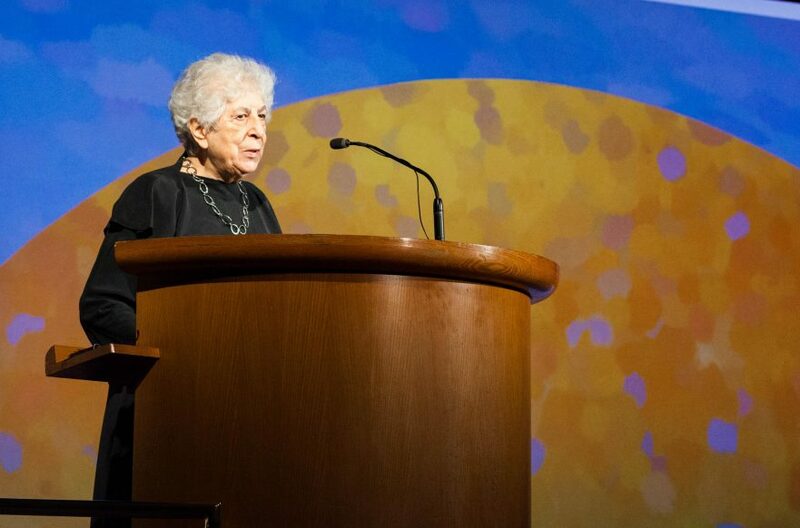 And despite Halaby’s distinction between them – “they are two separate disciplines” – at times the differences seemed minor, as the Palestinian and working-class struggle that has shaped much of her life found clear reflection in her decades of work. 14 years ago, on the 50th anniversary of the Kafr Qasem massacre, Halaby launched an exhibition to memorialize the 49 Palestinians under military occupation killed by Israeli border police while returning t their village on October 29, 1956. “It’s the essence of sumoud that Kafr Qasem resists, Palestine resists, Iraq resists, and Lebanon resists,” she wrote at the time. Last year, her work on the project became a book, Drawing the Kafr Qasem Massacre. But she went on to pose a different sort of challenge, defining the Dome – for her – as an object of aesthetic, not religious devotion, its glorious shades of gold and blue reflecting the Palestinian landscape as a whole. The latter position seemed striking in the context of Palestinian nationalism; the former, in the setting of an elite institution on Manhattan’s Upper East Side. Photos by Ed Marshall Photography NYC and courtesy of the Guggenheim Museums and Foundation. 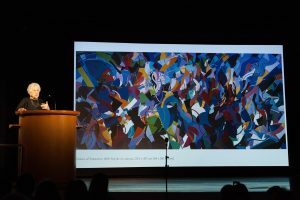 And for those of us with no grounding in contemporary art, she offered accessible insights into the principles of abstractionism that have defined her decades of work in the field. Halaby’s love for her craft was clear. “When I tell you I love abstraction, it comes straight from the excitement I feel,” she said.